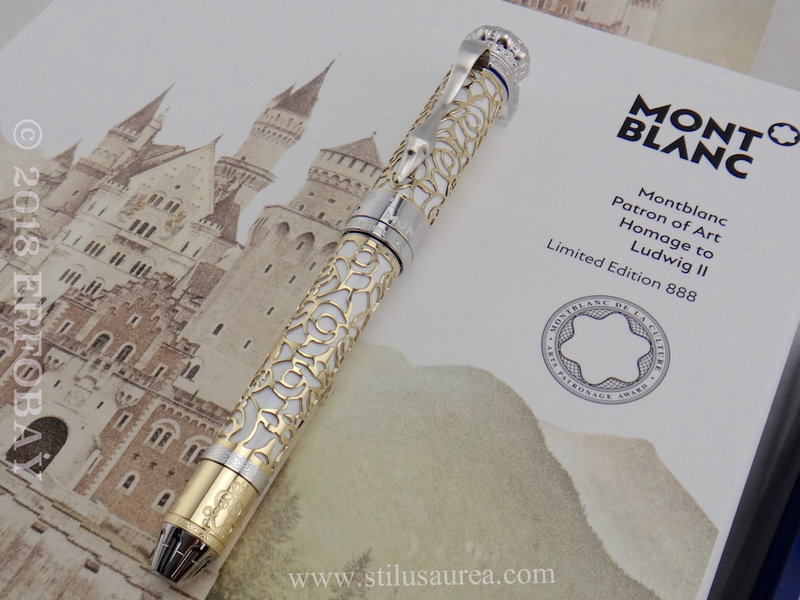 Also called the Fairy-Tale King and the Swan King, he exercited his penchant for elaborate castles by building three architectural masterpieces: Linderhof, Herrenchiemsee and Neuschwanstein, the fanciful vision of a medieval fortress. 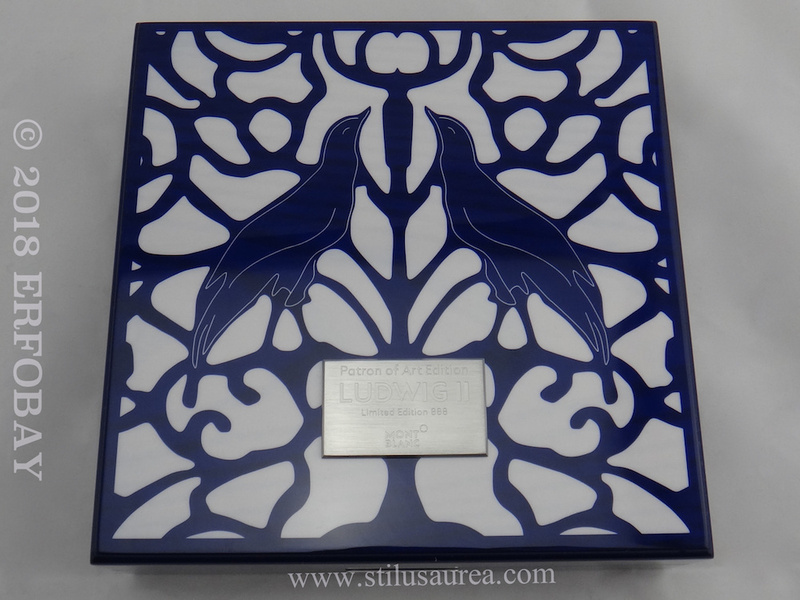 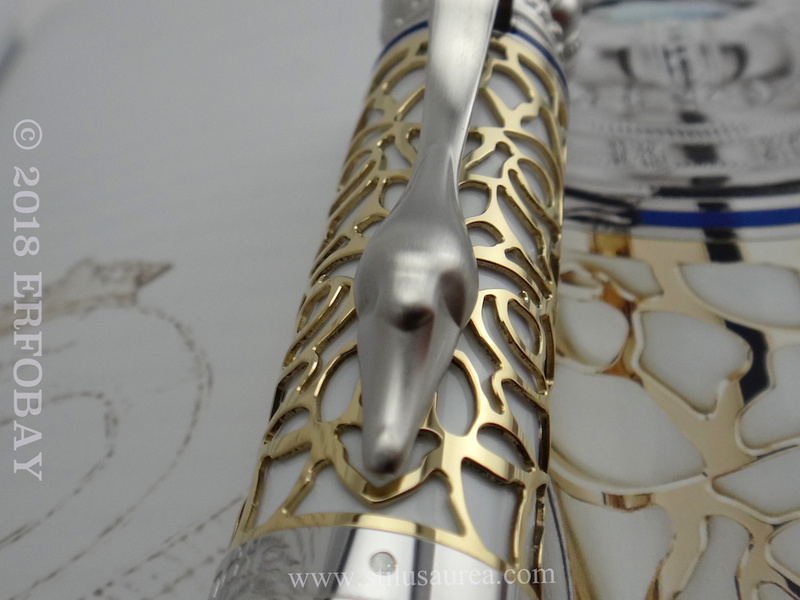 The swan, ever-present in Ludwig’s castles, inspired the design of this model. 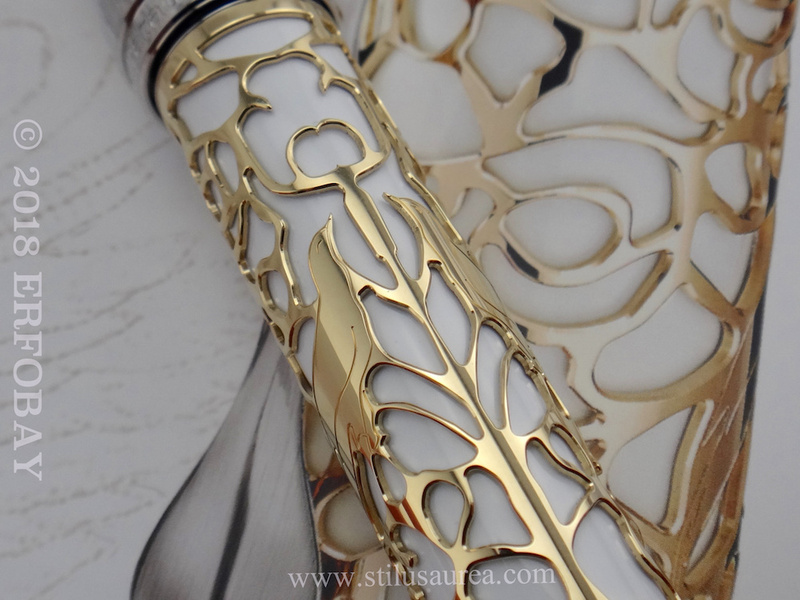 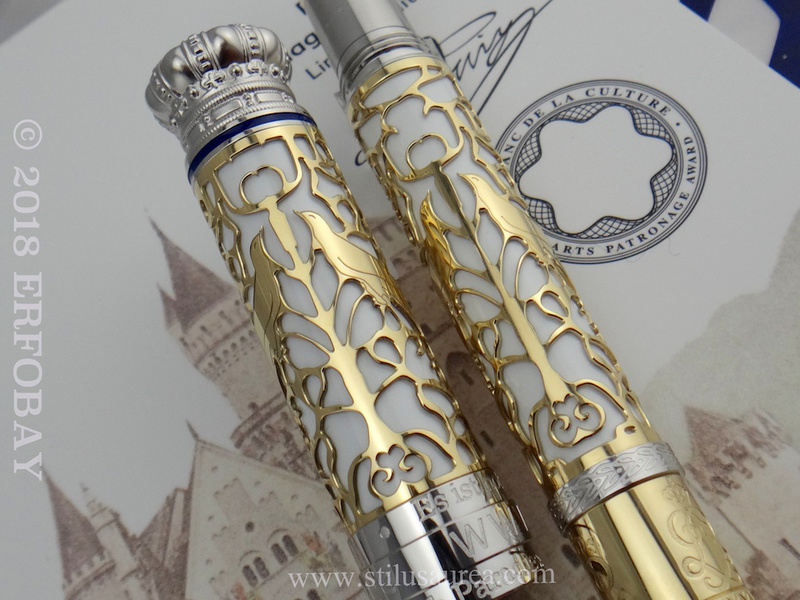 The artistically crafted Au 750 gold skeleton recalls the paintings adorning the walls of the throne room at Neuschwanstein. 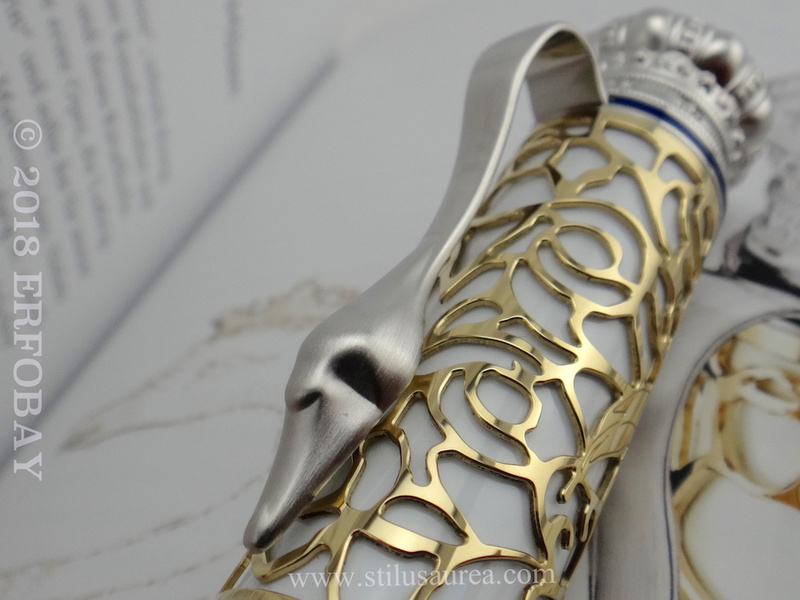 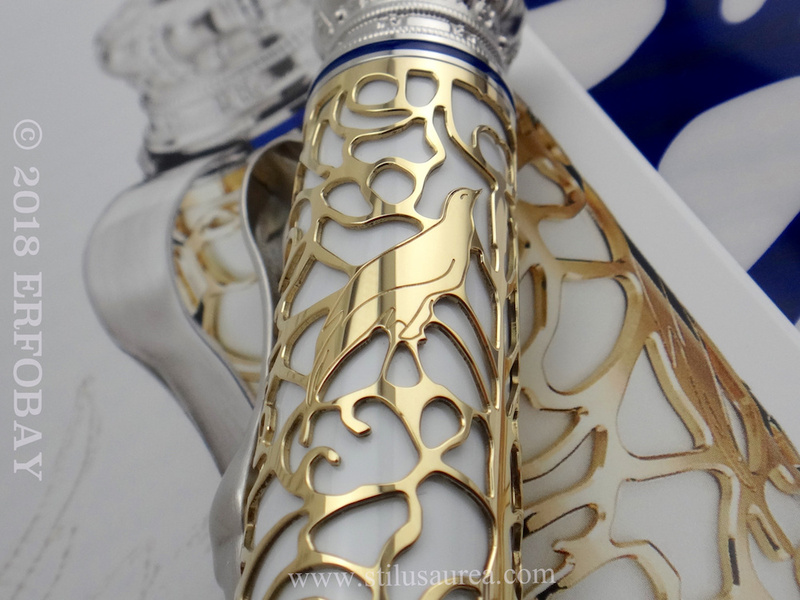 The platinum-coated clip symbolises a swan’s neck, endings in a swan’s head. 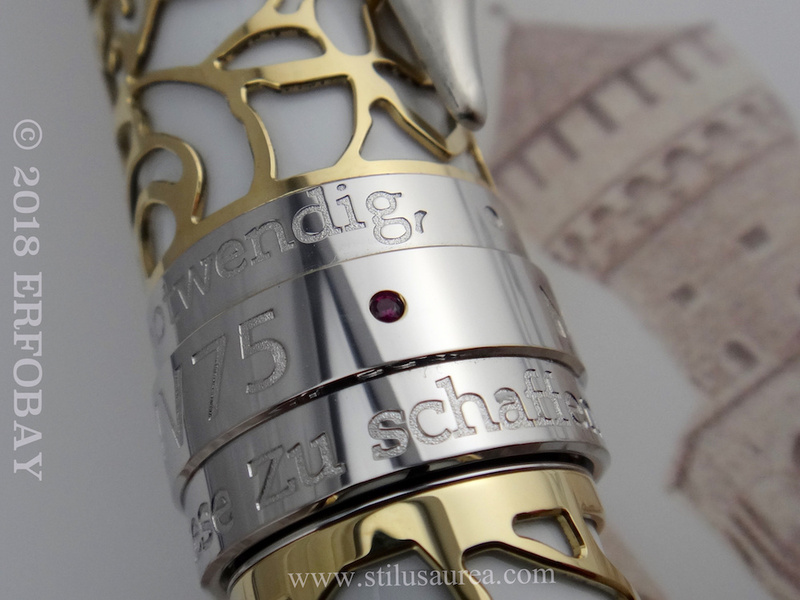 Engraved on the platinum-coated cap ring , which is set with a ruby, is the code assigned to the opera ‘Lohengrin’ in the catalogue of Wagner’s works: WWV 75. 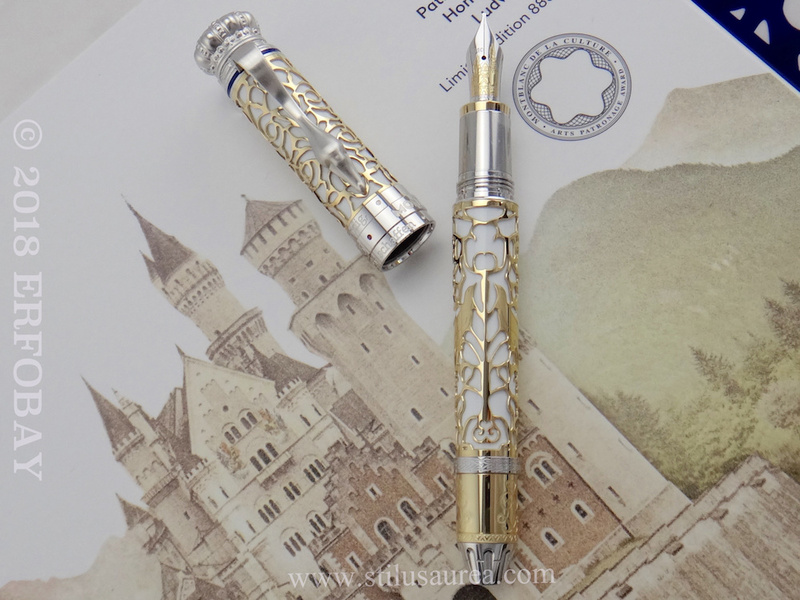 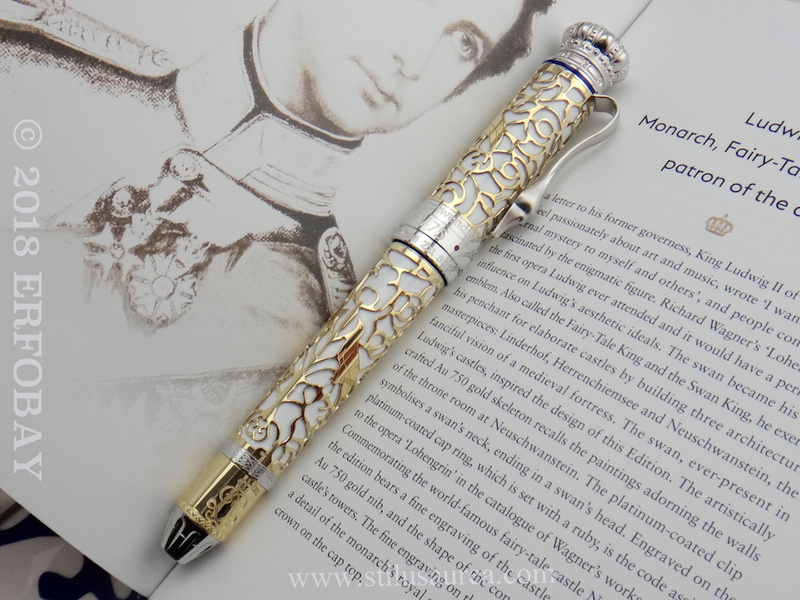 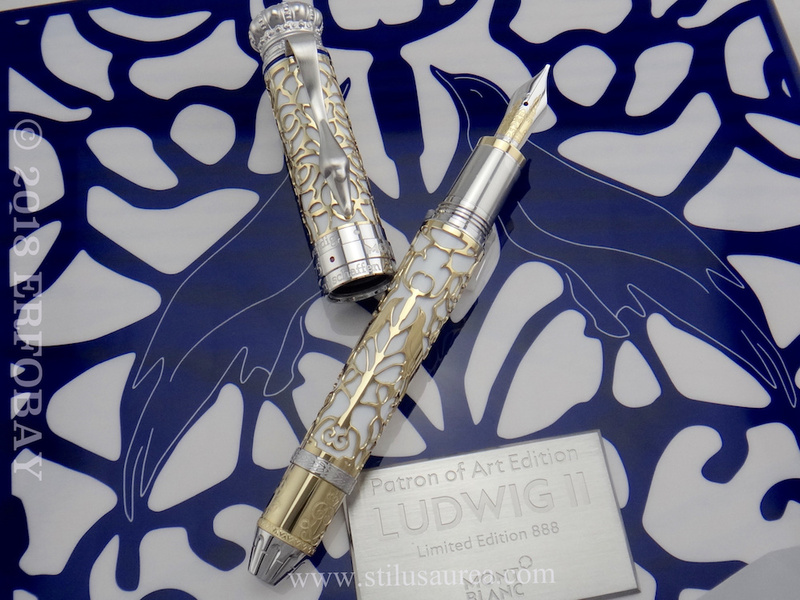 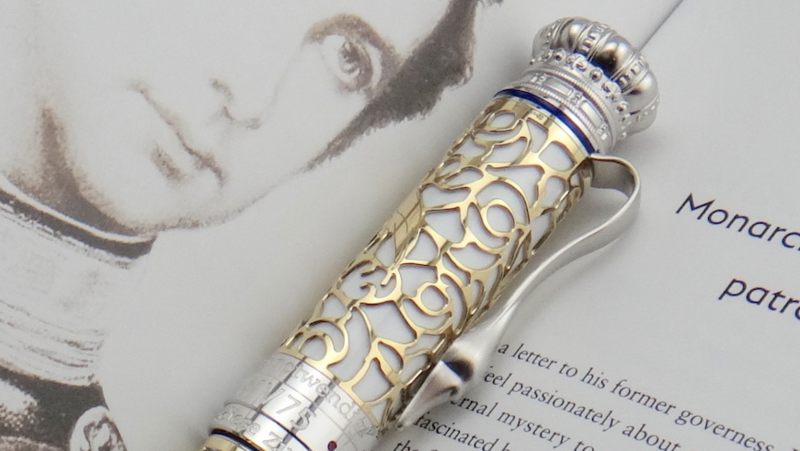 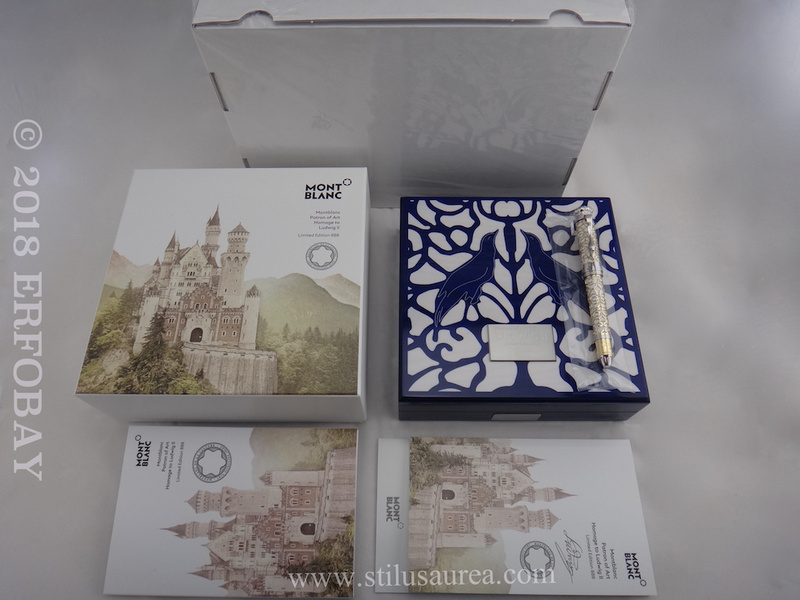 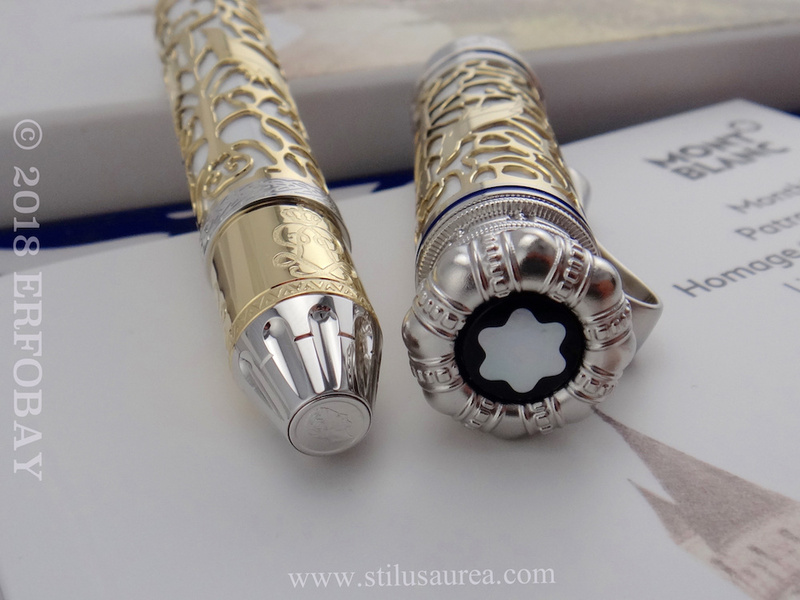 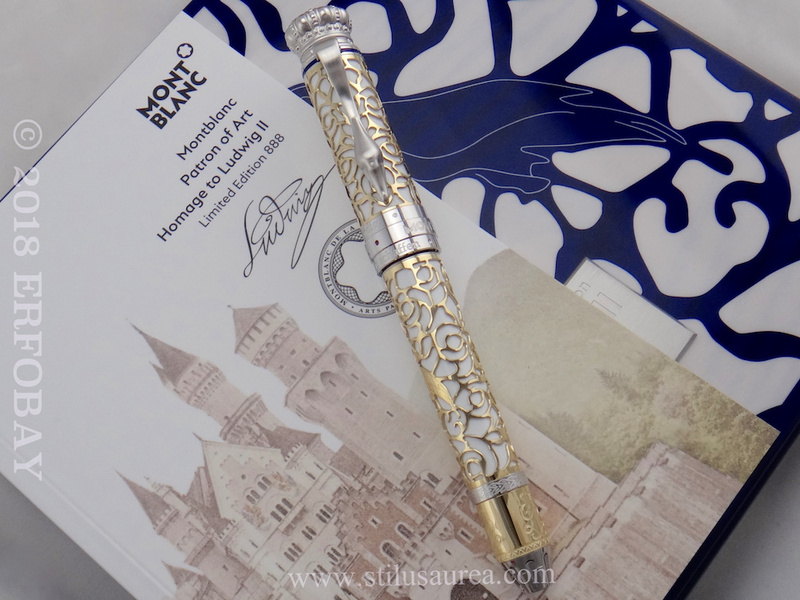 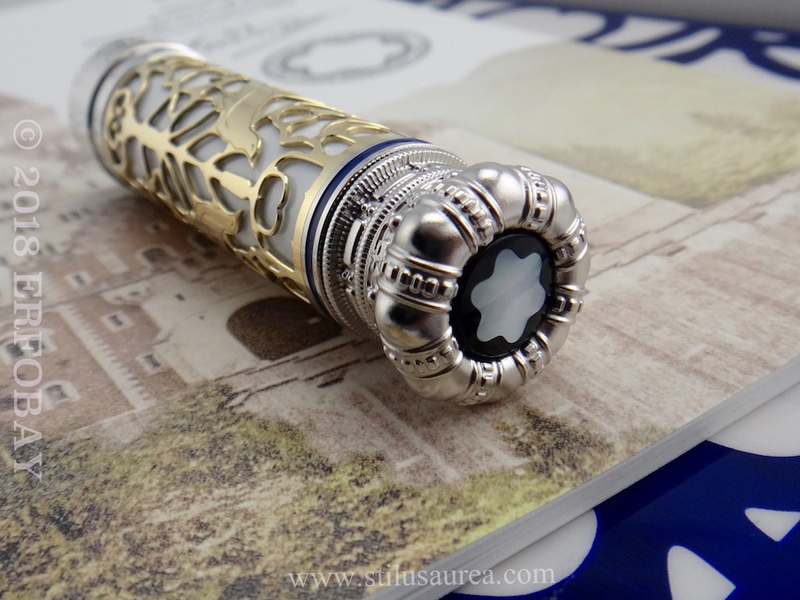 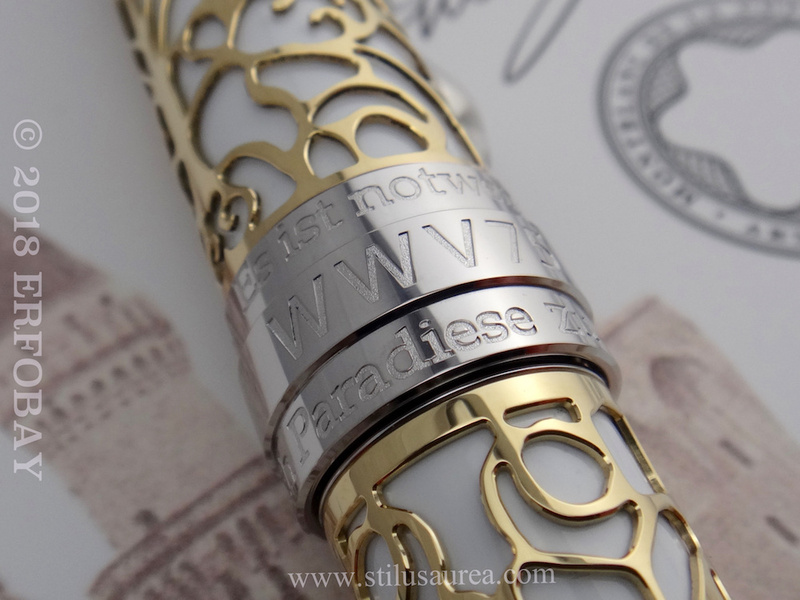 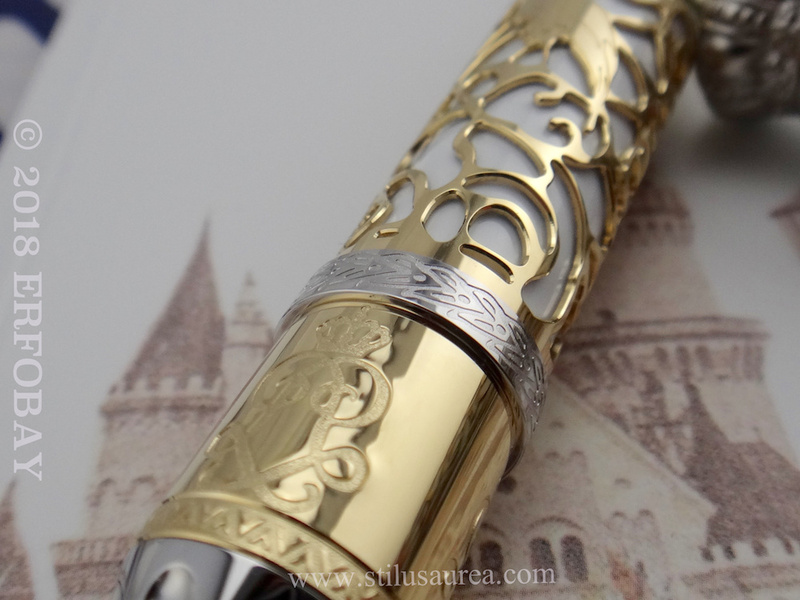 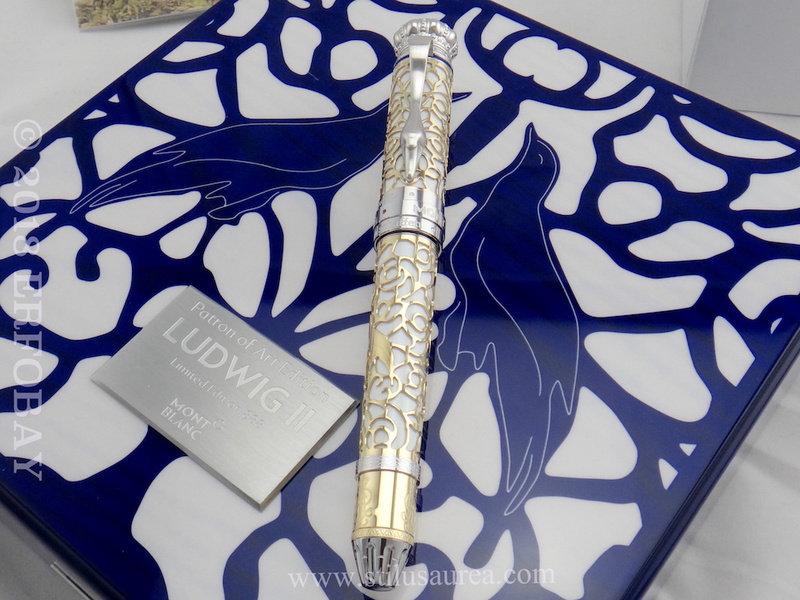 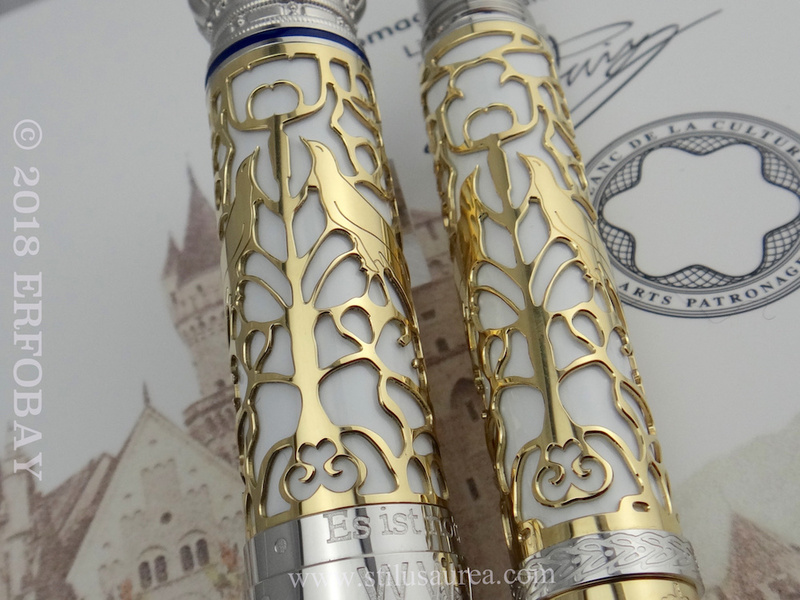 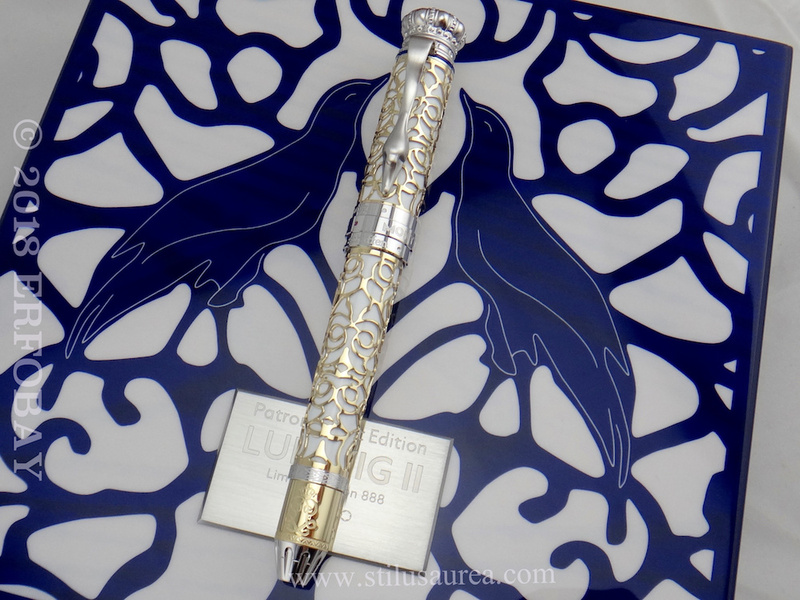 Commemorating the world-famous fairy-tale castle Neuschwanstein, the MB 2018 Homage to Ludwig II bears a fine engraving of the castle on the handcrafted Au 750 gold nib. 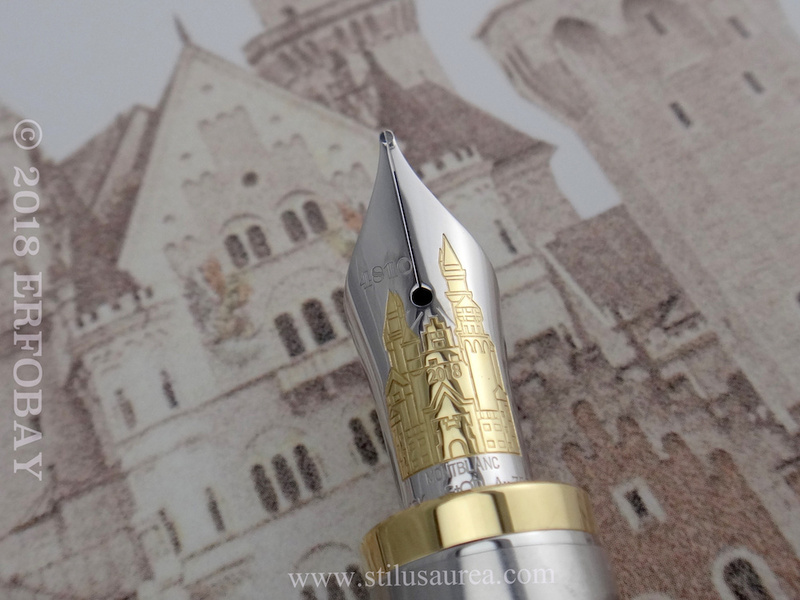 The shape of the cone is inspired by one of the castle’s towers. 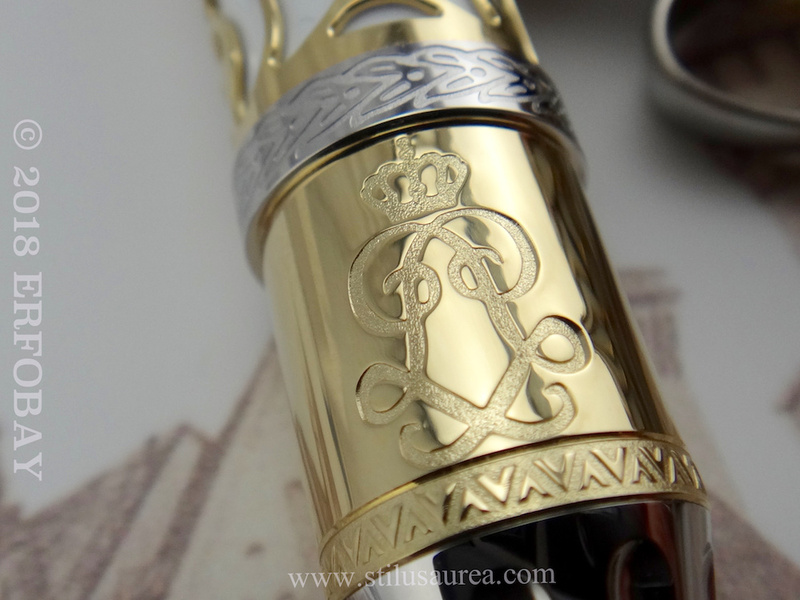 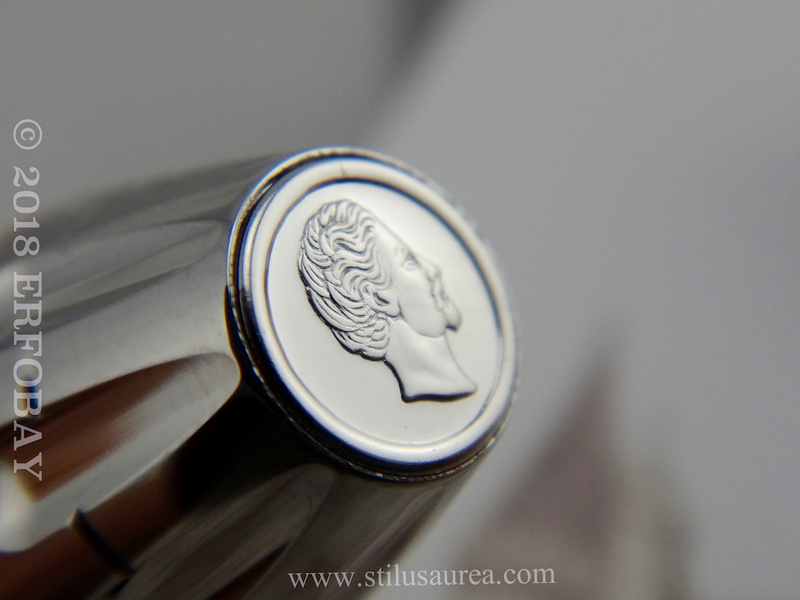 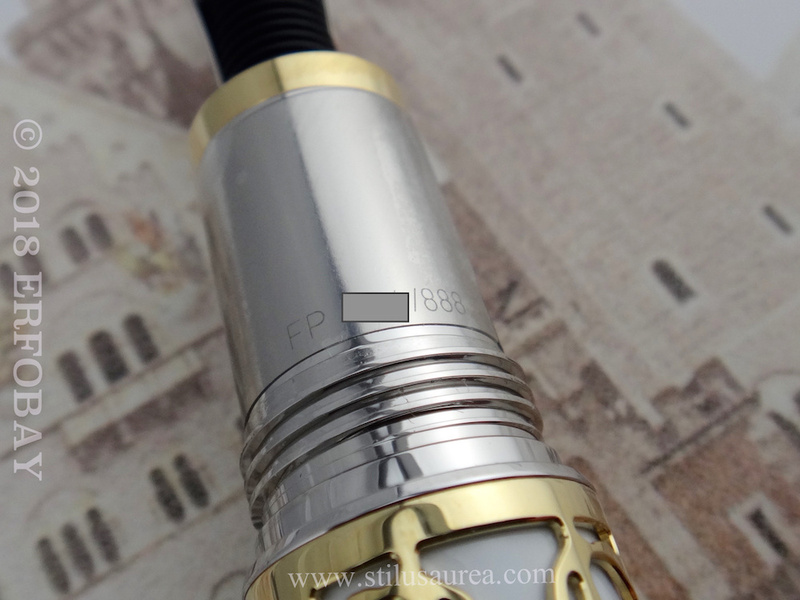 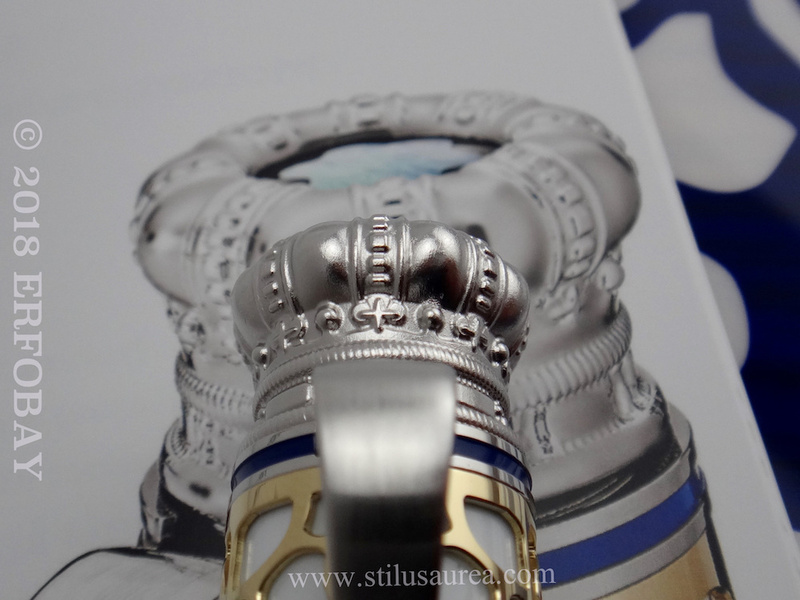 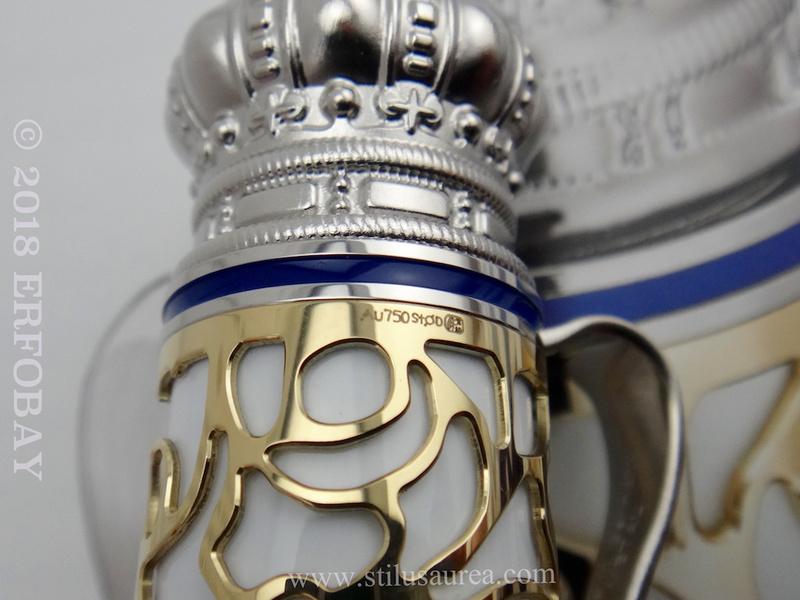 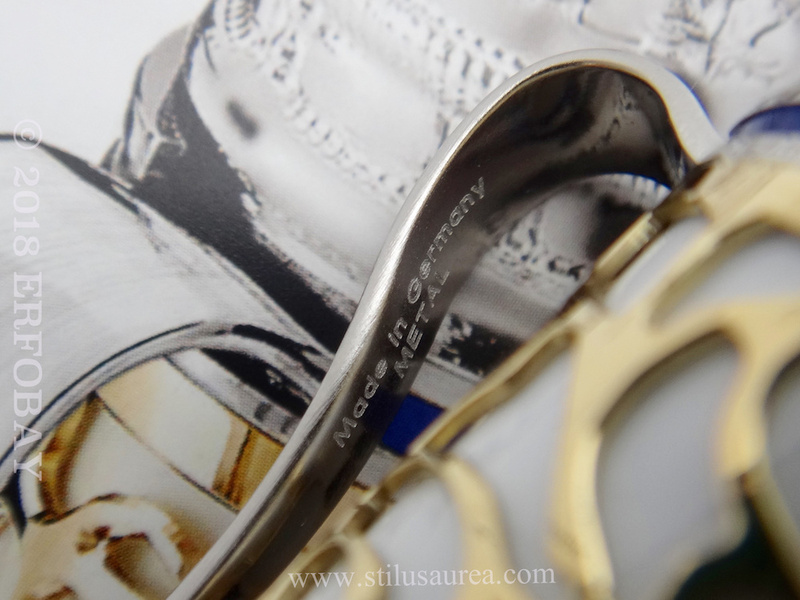 The fine engraving on the Au 750 gold cone symbolises a detail of the monarch’s royal seal, as does the platinum-coated crown on the top of the cap. 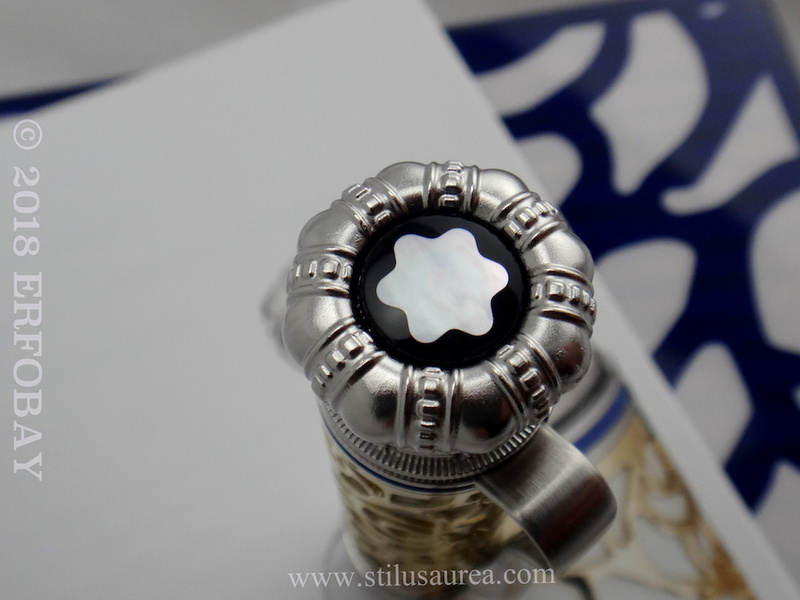 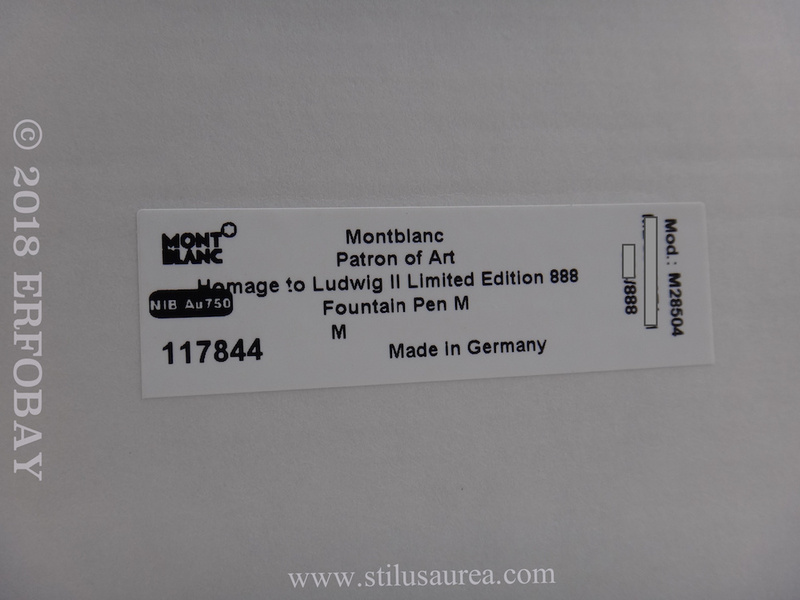 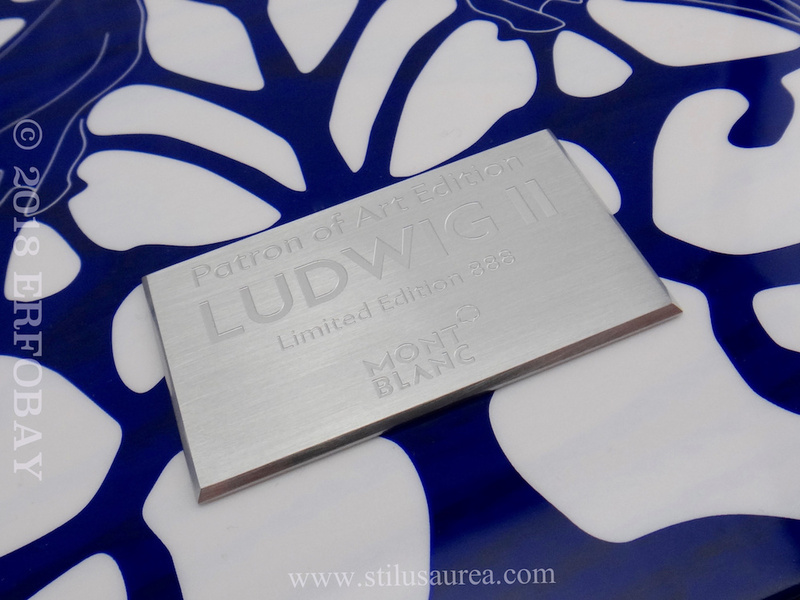 Mother – of – pearl Montblanc emblem.